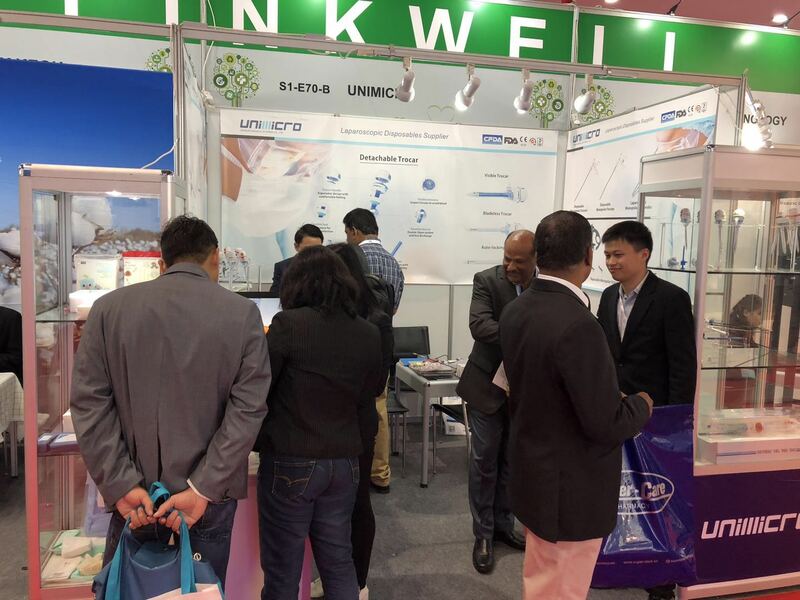 Arab Health 2018 took place 29 January-1 February in Dubai. Arab Health is an International Healthcare Exhibition. It is the largest Healthcare Exhibition & CME Accredited Congress in the Middle East and second largest in the world. 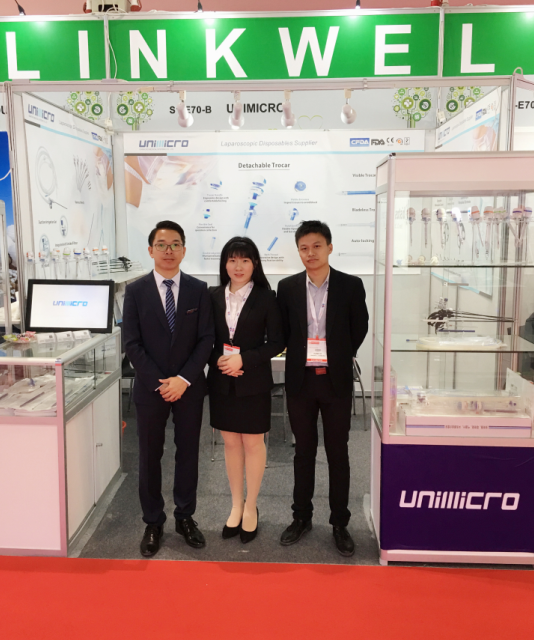 Arab Health 2018, Unimicro stunned with its new laparoscopic instruments including Trocar, Suction Irrigation Set, Endobag ,Veress Needles, Laparoscopic Monopolar Electrode, Smoke Filter, etc, drawing attention from many local purchasers and visitors. 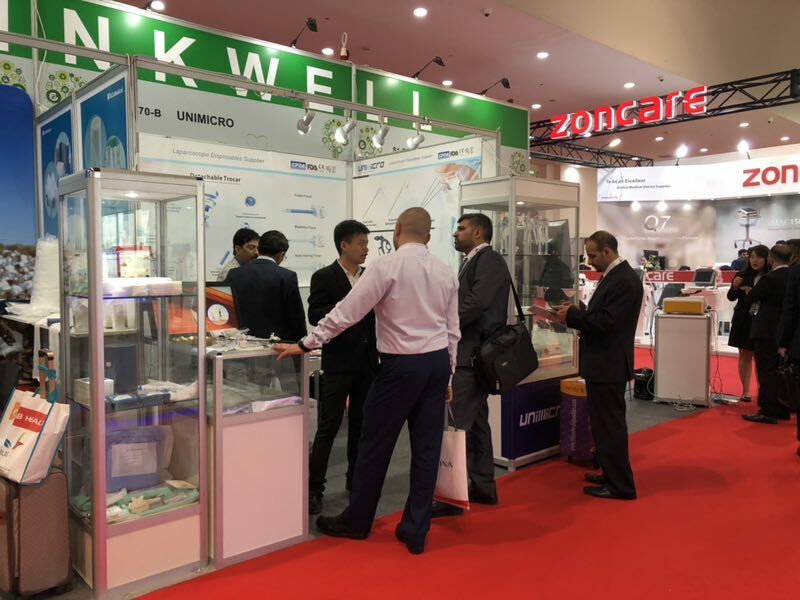 In Arab Health, We meet a lot of partners and new esteemed companies.